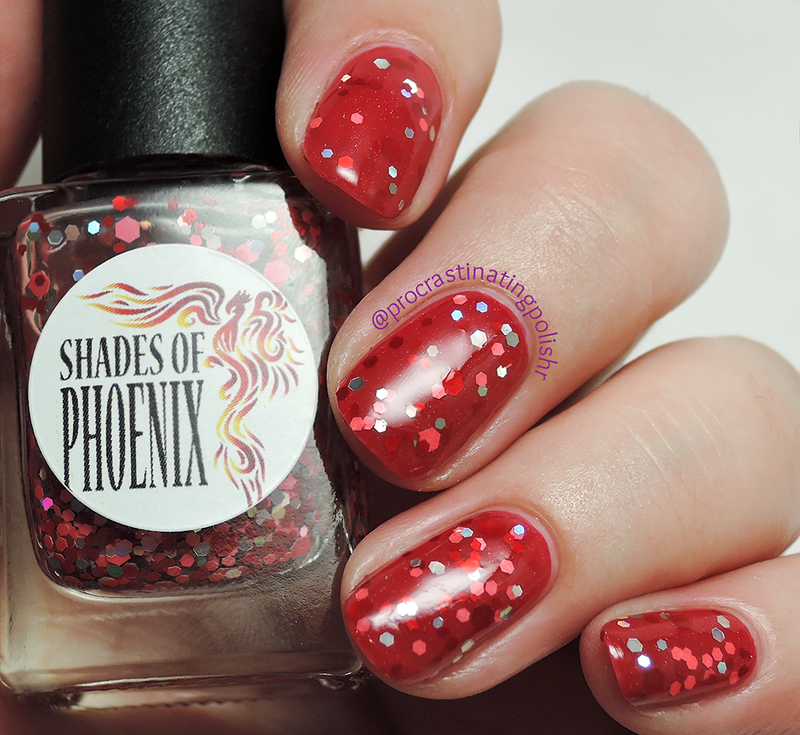 A little bit of an exciting post today - my first post as the official swatcher for one of my favourite Australian brands, Shades of Phoenix! More about that later, but first I have 5 new pretties in the form of matte + silver holo glitter toppers to feast your eyeballs on. The Sparkling Simplicity collection is a complement to the Sophisticated Simplicity collection of basic jellies that was released last year. I swatched the newbies over the matching bases but you can wear these any way you like - they mix and match really well! I'll show you my favourite combinations at the end of this post. Multiple sizes of matte red and salmon hexes with sparkling silver holo hexes. I did one dabbed coat over Rouge, with an extra on my ring finger. I prefer the sparser look one coat gave me as it blends with Rouge beautifully. The formula is nice and easy, not so thin it floods when you dab and not so thick you get air bubbles. This is definitely my favourite matchy matchy combo of the set. 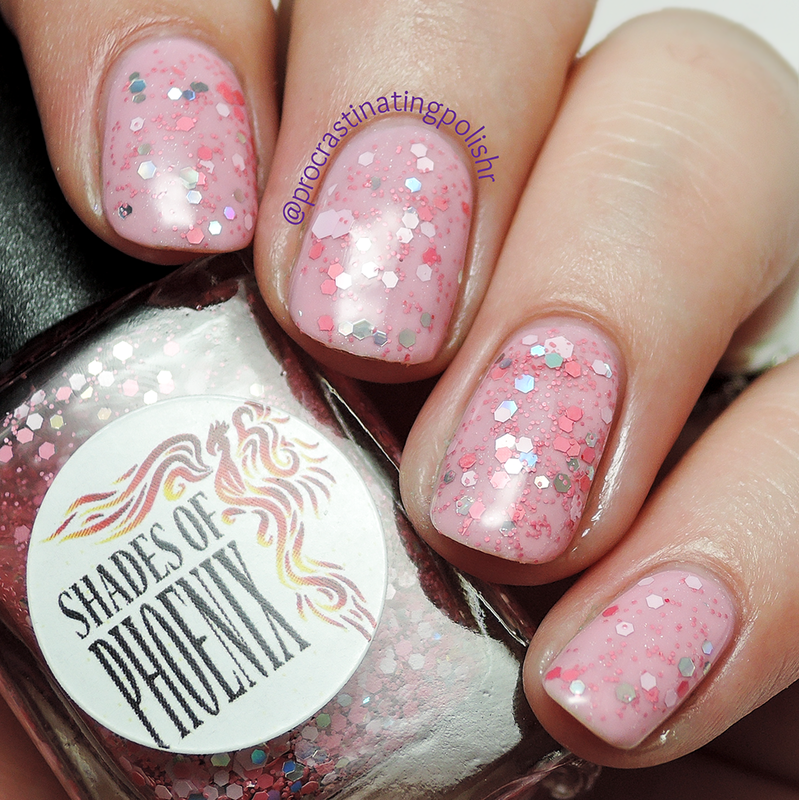 Multiple sizes and shades of matte pink hexes with sparkling silver holo hexes. Again, one dabbed coat with two on the ring finger. I think over the pastel pink base of You Make Me Blush it's way too girly for me, but I adore this over a darker colour as you'll see later on. I love the tiny little glitters in this one, I'd have loved to have seen it in one of the others in this collection. The formula was the same as Cherry Pops with easy application. 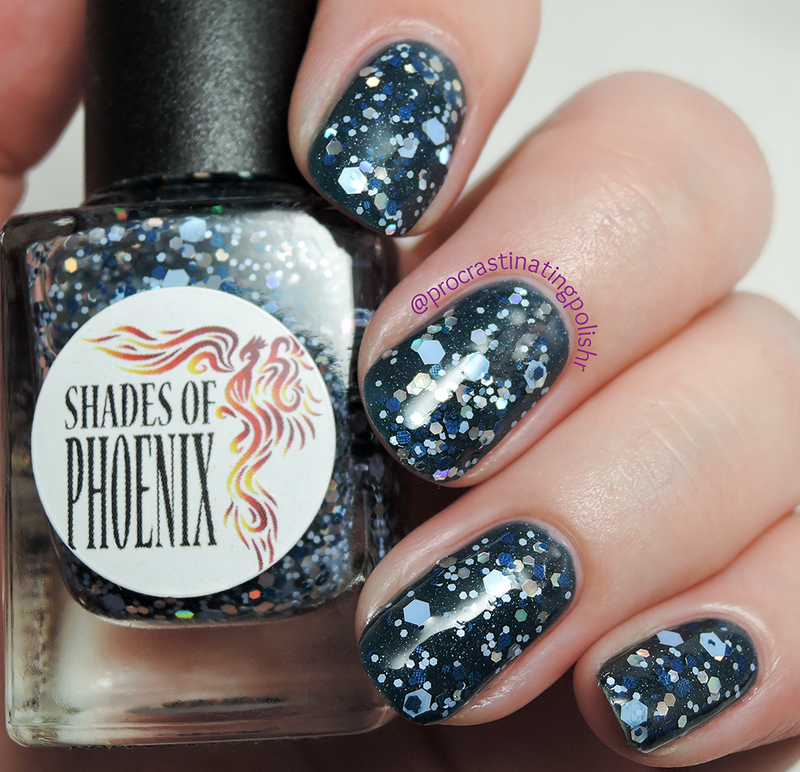 Multiple sizes of contrasting navy and pastel blue hexes with sparkling silver holo hexes. This was the most glitter packed of the bunch with just one dabbed coat on each finger. 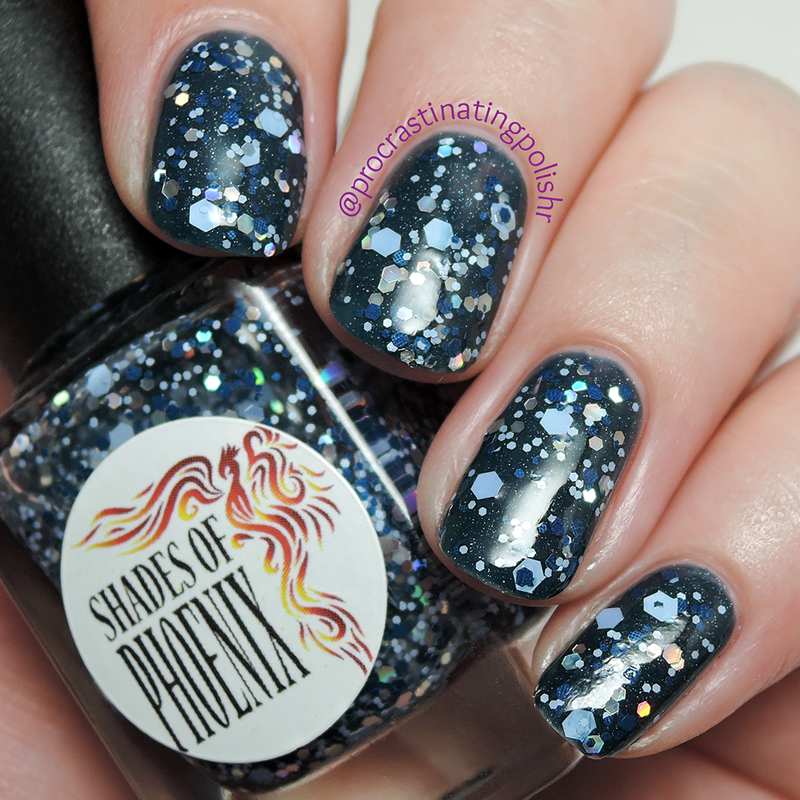 I really like the contrast of the super pale blue with the dark polish and navy glitters. Due to the high glitter load this one seems a bit thicker when applying but is still fuss free. 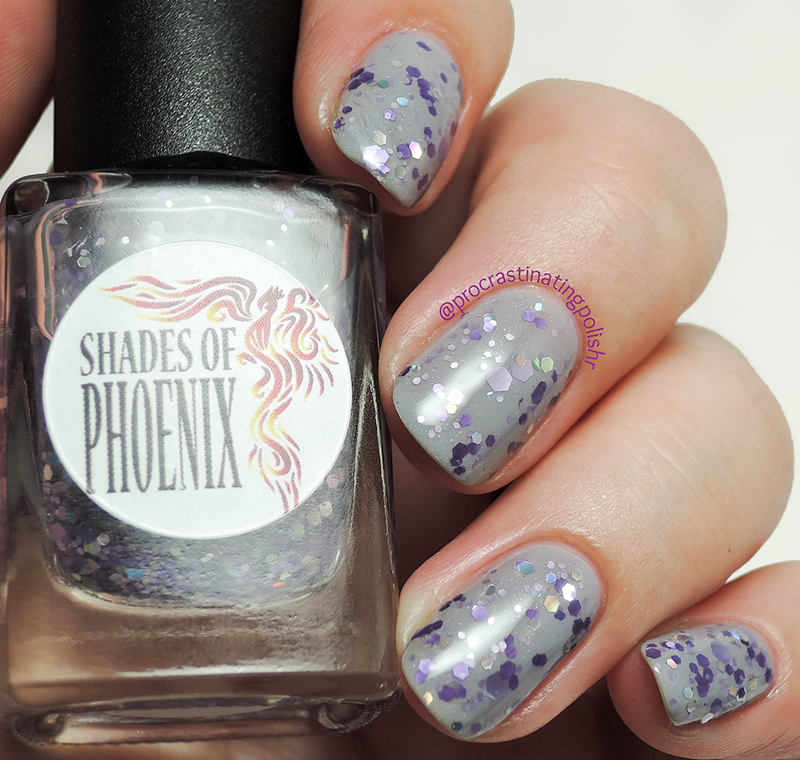 Multiple sizes and shades of purple hexes with sparkling silver holo hexes. I did two dabbed coats on each finger with this one - I found this was a bit lighter on the glitter than the others so I had to fish a little. Teneil has taken my feedback on board and will be tweaking the polish for release. While I will never refuse a nice purple, and as much as I adore the translucent glitters in Lavender Fields, I would give my right foot for a grey matte topper! I guess there isn't a huge market for grey glitter though - does grey glitter exist or just silver? One of life's most important questions! My favourite of the collection! Small matte peach squares and hexes, two sizes of matte yellow hexes with sparkling silver holo hexes. One dabbed coat on all fingers in this swatch. I love the pops of yellow against the soft peach. I was pleasantly surprised how versatile it is too - though I only swatched it over two colours I did some swipes on paper over a few colours and it works really well over just about anything. Formula is again great, easy and smooth. All told this is a sweet little extension to the Simplicity range. The toppers are a nice complement to the matching base, and mix and match beautifully - my personal favourite combos are below. 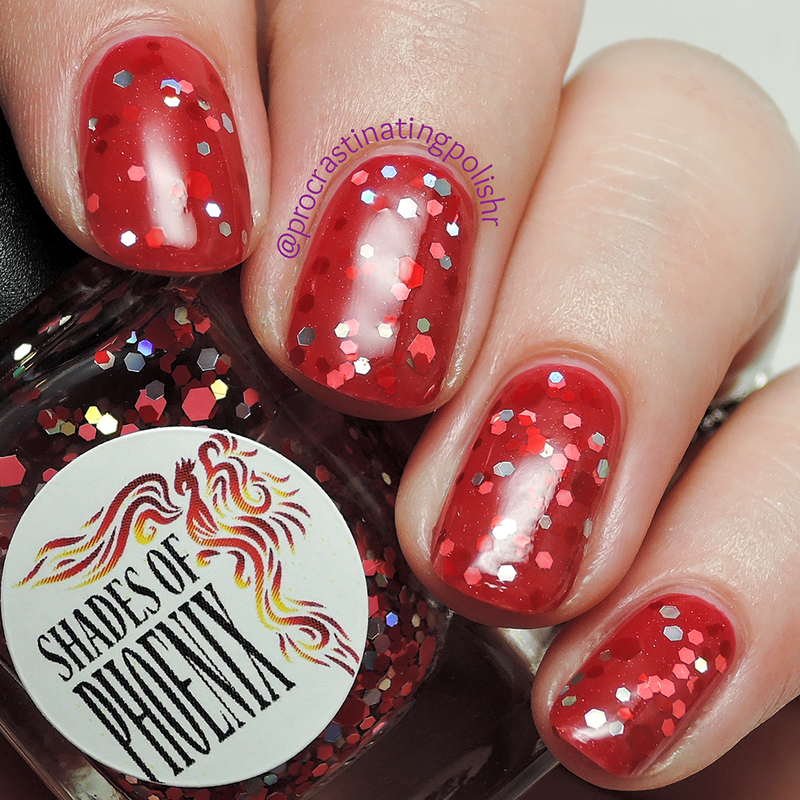 The collection is available via pre-sale right now for only $40 for all 5 polishes at Shades of Phoenix, before the official release later this week. Just a quick note on my official swatcher status - I've been a fan of the brand for as long as I've been buying indie polish, so I was super excited when Teneil asked me to come on board as her official swatcher. 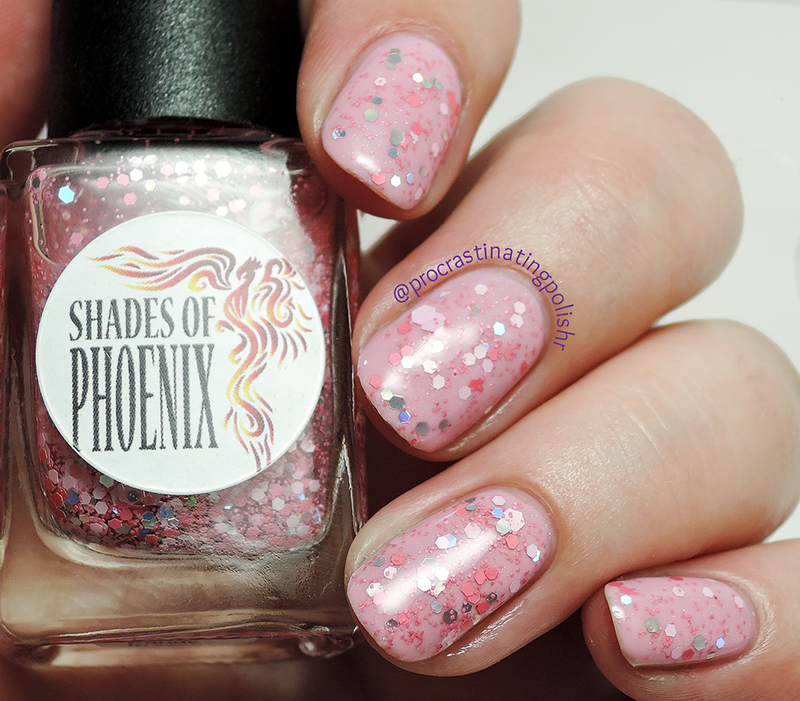 I will, of course, continue to provide my honest opinions on Shades of Phoenix as I do with any other polish. Please refer to my disclosure policy for more info. *The abovementioned products were provided by Shades of Phoenix for review, which in no way affected my opinion of the product. Please refer to my Disclosure page for more information.